Max's wife, Deborah, is about to have her baby, and the Saddle Club girls are keeping her company before she goes to the hospital. Stevie, Carole, and Lisa all recountin their own wordswhat their lives were like before horses, and how they've never been the same since. When the last tale has wound down, Deborah realizes that the baby is about to arrive. 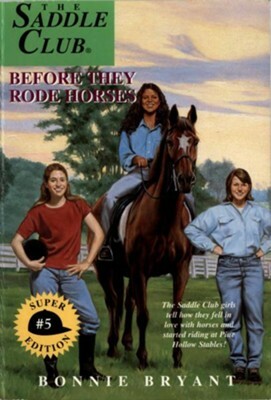 I'm the author/artist and I want to review Before They Rode Horses - eBook.